Ever since we first launched Pacco: floating shelf with drawer it has been a consistent best-seller. The idea for the design for the floating drawer came about as a result of wanting to create beautiful pieces of furniture for small spaces. When you live in a small home, storage is a priority. But it isn’t always easy to find aesthetic pieces that are well made to fit the space. 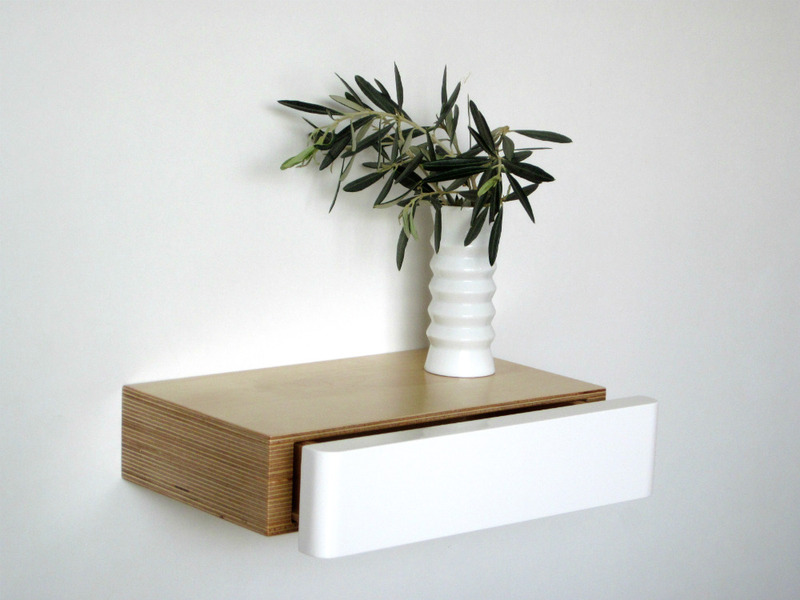 The concept of the Pacco Floating Drawer is a floating shelf with concealed drawer. So that you can display beautiful accessories on the shelf, while hiding other objects out of the way. And when it is closed, the clever design of the wrap around streamlined front means you hardly notice it is there. Designed by Samuel Ansbacher, it is handmade in solid birch ply and exclusive to mochacasa.com. The signature of the drawer is it’s curved front and rounded edges – a finish which can only achieved by making it by hand. It is inspired by Scandinavian design as Samuel spent several years living in Copenhagen, Denmark. The name “Pacco”, though, is Italian and means package. (It was inspired by the designer’s Italian speaking mum!) Because the shape of it resembles a package. And we all love to received little packages filled with exciting things! You can use Pacco Floating Drawer in many different ways around your home. They are especially popular for use as a floating bedside table. The compact design makes it ideal for small bedrooms where standard size bedside tables often won’t fit. And because it is attached to the wall and you can see the floor below, helps make the room appear bigger. In the hallway it works beautifully as a floating console table. It’s the perfect place to put your keys, wallet and phone so you always know where to find them and don’t forget them when you go out. In the living room use them as bookshelves for your paperbacks, or to display your favourite accessories (while hiding clutter out of the way in the drawers). 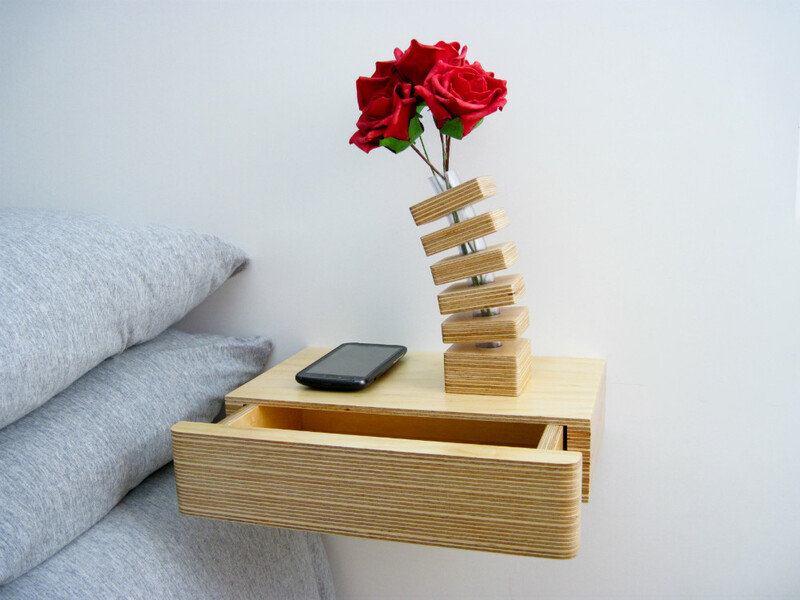 You can also use them to create a very contemporary floating chest of drawers like this. They are suitable for use on the same type of walls as other types of floating shelves. 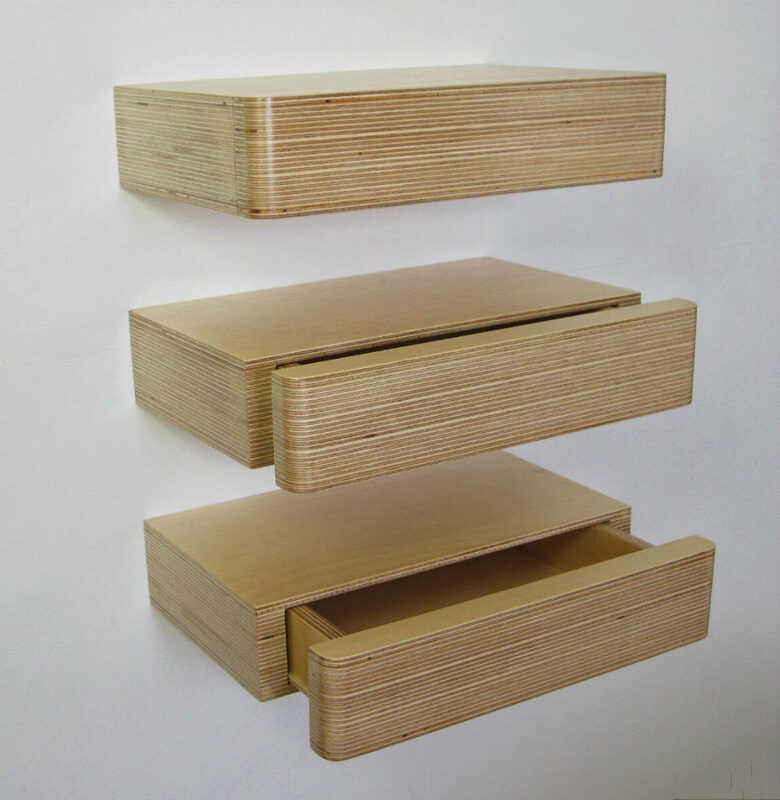 The original Pacco Floating Drawer is solid birch plywood (a popular wood used in Scandinavian furniture design). It is left natural to allow the beauty of the wood grain shine through and spray lacquered to protect it. It is also available in a dark walnut stain. 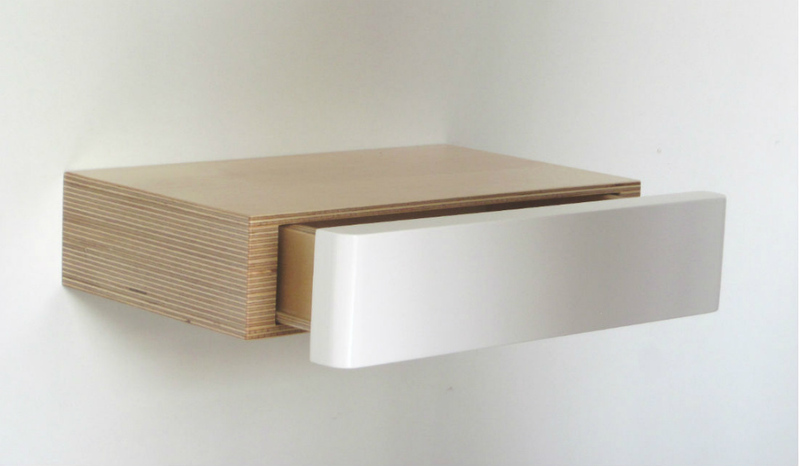 And due to popular demand, we launched a version of the floating shelf in birch white. 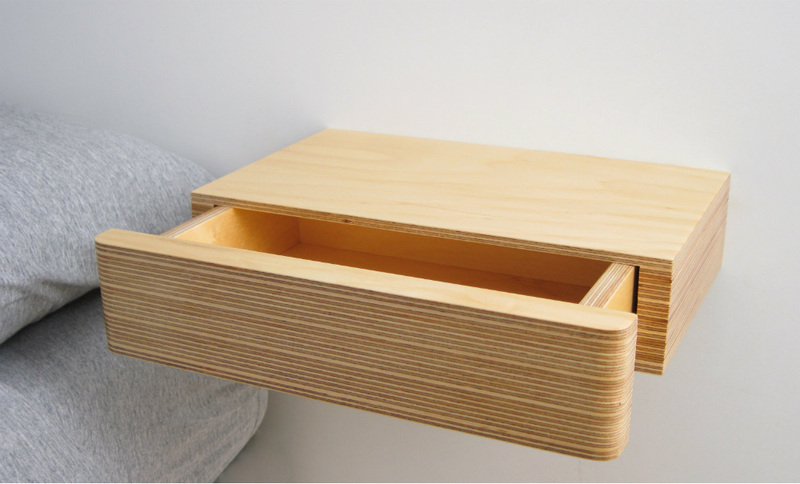 The drawer front is spray lacquered in white and the rest is solid birch plywood for an on-trend contemporary style. 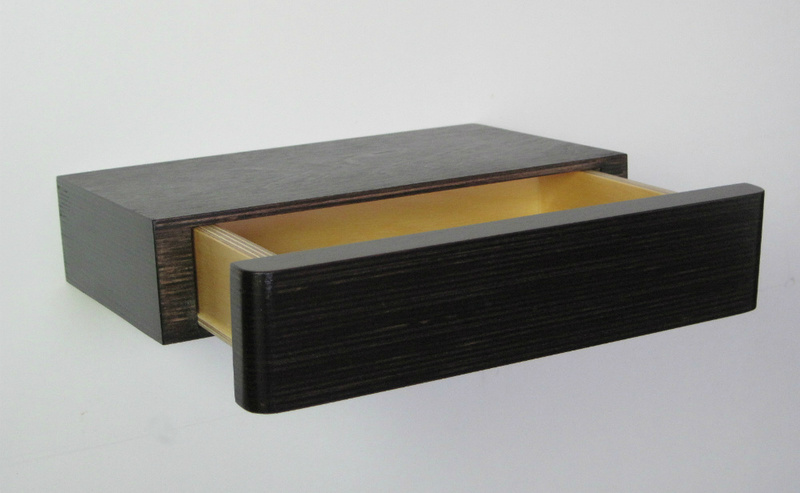 The Pacco Floating Drawer is handmade with care and exquisite attention to detail. As a result, they usually take between four to six weeks to manufacture as a only a limited amount are made in each batch. They are made to order and there is often a waiting list for them. 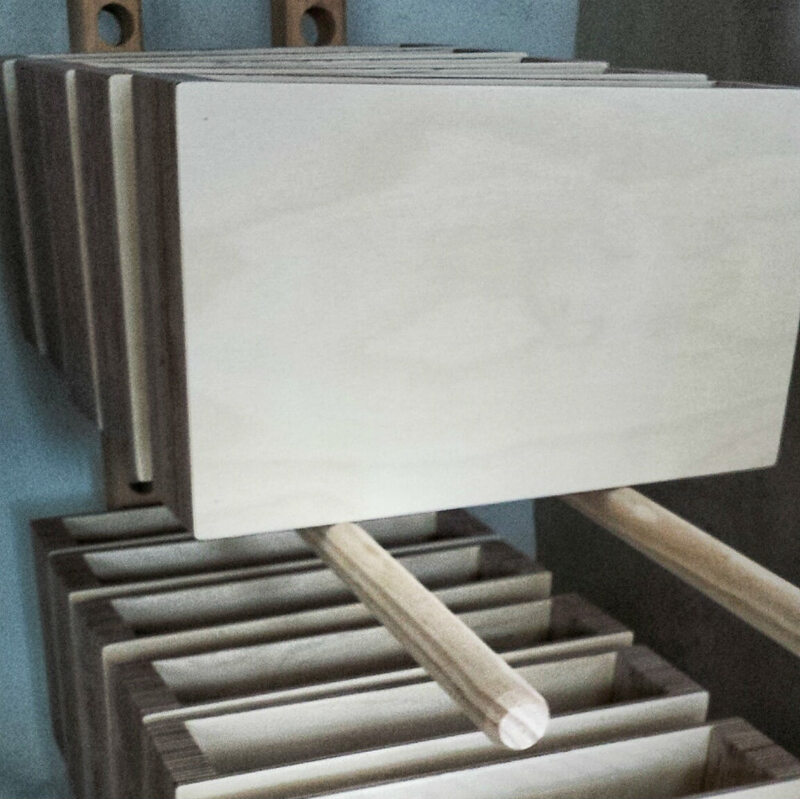 Once constructed, the drawers and drawer boxes are sanded. 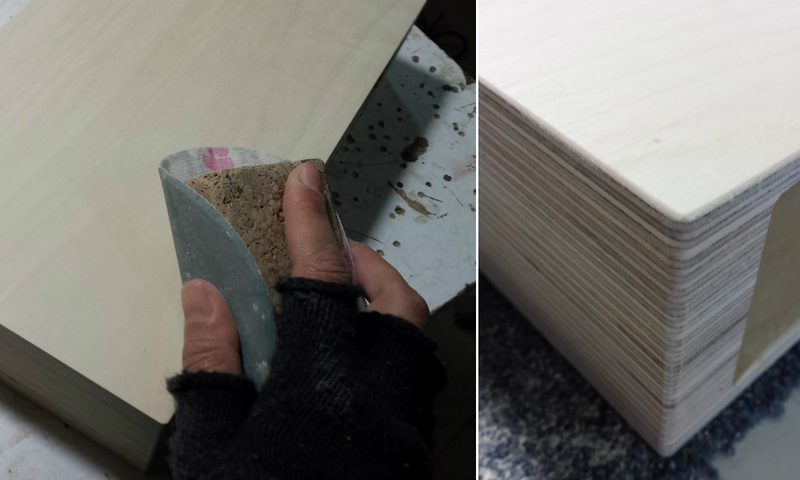 Each edge is carefully hand sanded for the perfect finish. They then go through the spray lacquer process. But this isn’t the end. They are then sanded a second time. The edges are all hand sanded again. The drawers then go through the final spray lacquer process. After which they then need to dry and settle for a few days before they are ready. And what you get in the end is an artisan made product that is a work of beauty.